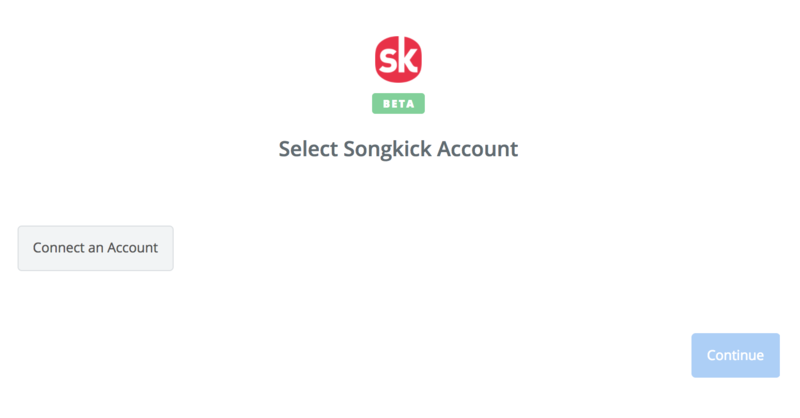 New Tracked Concert - Triggers when you track or mark yourself as "I'm Going" to an event. 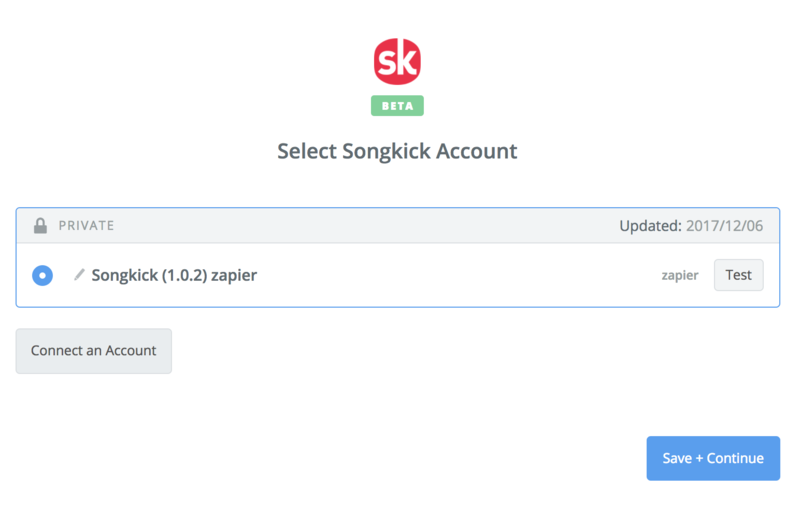 New Event Matching Search - Triggers when a new event matching a search query is added. Find Venue - Finds a venue. 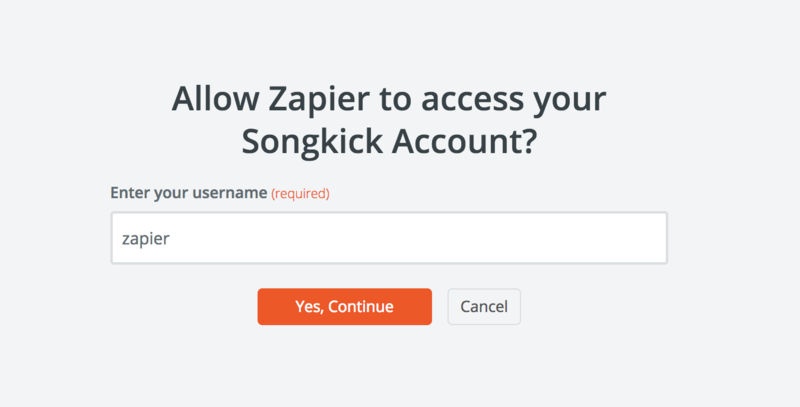 After authorizing, you'll get sent back to Zapier where you now have your Songkick account connected!